Nuuk: Wassam Azaqeer, a Lebanese, who lives in a country surrounded by icebergs called “Greenland”, is the only Muslim in this state who is fasting daily for 21 hours with full determination. 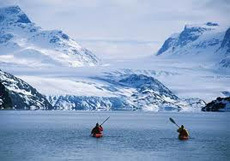 Greenland is the largest island in the world; lies between the North Atlantic and the Arctic Ocean; a self-governing province of Denmark. According to an Arab TV report, Wassam Azaqeer, who is living in Greenland from the past several years and has been called “Arab Columbus” as he is the only Arab Muslim who not only managed to live in Greenland-despite the long and difficult journey, but also running a successful business in the capital city of Greenland called Nuuk. Wassam, is running his own restaurant where he receives 200 customers each day. The month of the Ramadan, this year, came in summer so Wassam has to fast for 21 hours and after Iftaar he only got 2 hours to prepare Suhur - the pre-dawn meal to start next fast. In these 2 hours Wassam, also has to offer the Maghrib and Isha prayers. Wassam says that he is very proud Muslim to be living on a state where he is the only one fasting and praying in the name of Allah. He says he sometimes think about going to Lebanon in this holy month but he stops himself by thinking that if left Greenland, there wont be anyone to fast and pray on this land. Muslims go to Makkah al Mukarrema in Saudi Arabia for Umrah entire year other than Haj times. 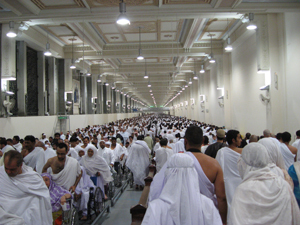 However, during Ramadan, number of Umrah visitors increases manifold. According to a rough estimate, over 2.5 million Muslims come from across the world to Makkah al Mukarrema for Umrah during Ramadan.